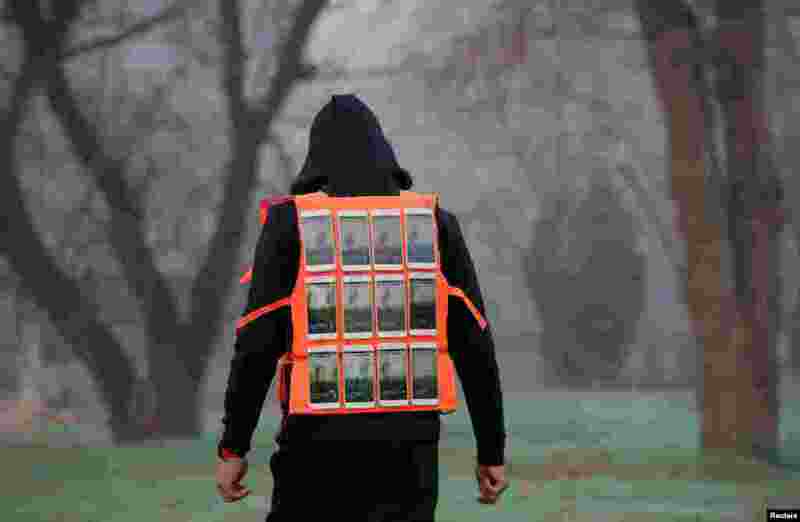 1 Artist Liu Bolin wearing a vest with 24 mobile phones walks in smog as he live broadcasts air pollution in the city on the fourth day after a red alert was issued for heavy air pollution in Beijing, China. 2 Andrey Karlov (2ndR), the Russian ambassador to Ankara, lying on the floor after being shot by a gunman (R) during an attack during a public event in Ankara, Turkey. 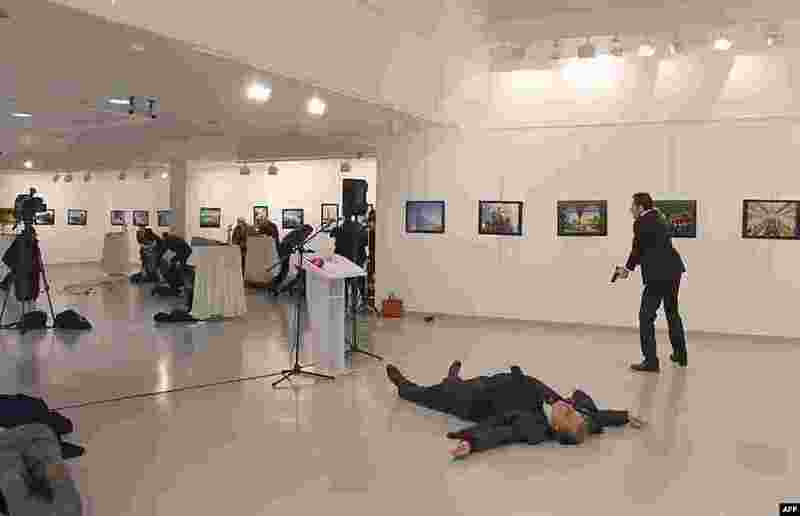 A gunman crying "Aleppo" and "revenge" shot Karlov while he was visiting an art exhibition in Ankara, witnesses and media reports said. The Turkish state-run Anadolu news agency said the gunman had been "neutralised" in a police operation, without giving further details. 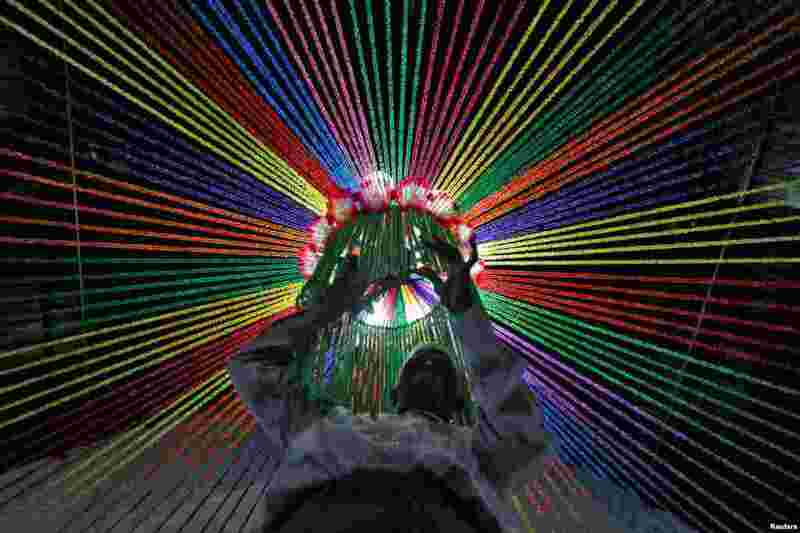 3 A man decorates a church ahead of Christmas celebrations in Ahmedabad, India, Dec. 18, 2016. 4 Miss Puerto Rico Stephanie Del Valle (C) reacts after winning in the Grand Final of the Miss World 2016 pageant at the MGM National Harbor in Oxon Hill, Maryland, USA, Dec. 18, 2016.